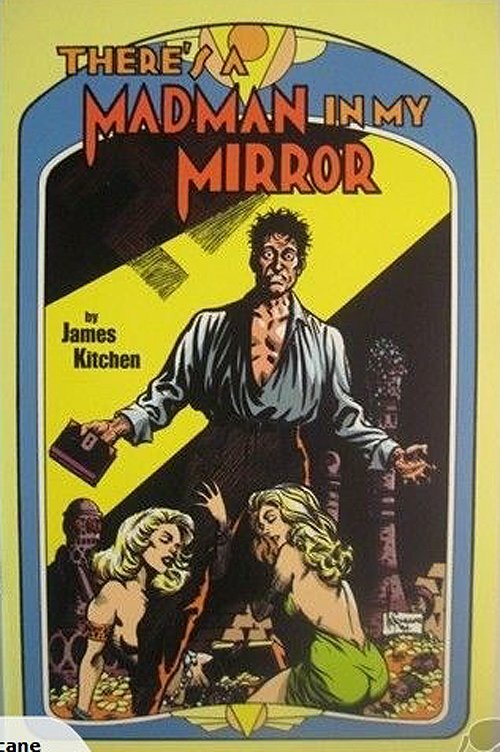 Click Here To See 'There's a Madman in my Mirror' Comic Book! 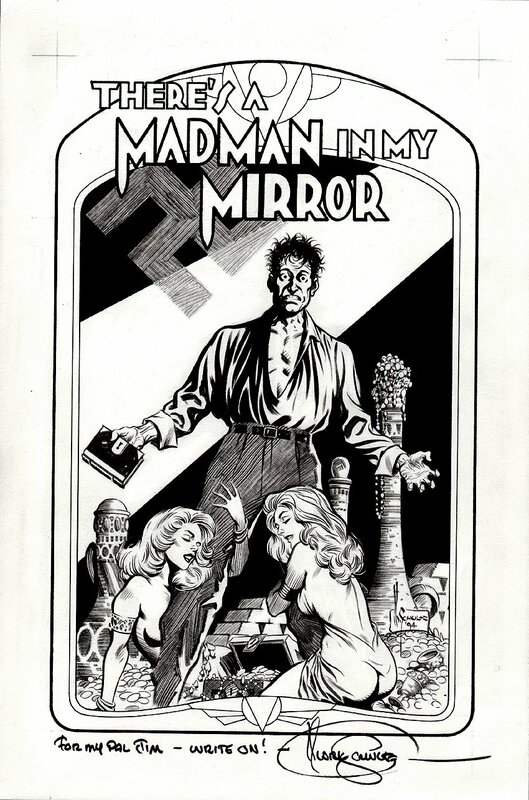 Check out the STUNNING detail in this original cover titled: "There's A Madman In My Mirror" by Mark Schultz, circa 1994. Drawn art image measures 7.25" by 11.5" image on a larger 9" by 13.5" art board...brush and ink...including the ENTIRE logo area also being hand drawn! Nazi mysticism, relics and two very lovely female companions! The detail on this beautiful cover cannot be captured on the scan as the actual luck line work is quite extraordinary! A synopsis of the James Kitchen tale.... After the fall of the Third Reich, an Allied translator pays a visit to the bunker where Hitler had spent his final hours. In the midst of the wreckage and claustrophobia, he discovers a book lodged between the cushions of a chair. To his shock, he realizes that he has discovered Hitler‘s diary. The pages were covered with increasingly feverish ravings, as well as strange mystical symbols which hinted at an even darker truth. Soon, the translator found himself confronting the same madness that had engulfed Hitler, and an otherworldly evil he saw in the reflection staring back from his own mirror! The backgrounds on this incredibly detailed cover are as amazing as the main figures! Mark Schultz is the current day DAVE STEVENS, known as the MASTER of brush work. Don't let this one slip through your fingers or you will certainly regret it! Just a great cover! Compare this nice cover art to the published comic book in the red link above! ALL art on our website (including this one) are able to be purchased with VERY fair time payments, and trades are always considered towards "ANY" art on our website! Just send us an email to mikeburkey@aol.com and we can try to work something out.